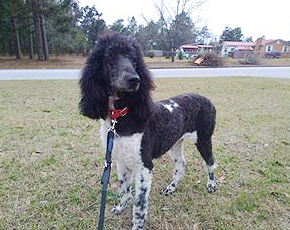 Debbie and Duane are the owners as well as the Standard Poodle, Goldendoodle, and Golden Retriever breeders in Augusta, GA, at TUCKERS DOODLES AND POODLES. Debbie began breeding Rat Terriers 25+ years ago and has been breeding the Goldendoodles and Standard Poodles for better than 20 years. She has had a passion for animals all of her life and continues the tradition by giving their adult dogs and puppies the respect and love they deserve. Debbie's love for animals also includes horses, which she states are a "super passion." She adores cows as well and recalls as a child "having to feed 12 baby calves before going to school." 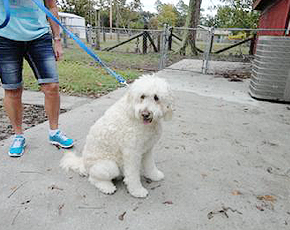 She also recalls picking up stray animals and giving them a "foster home" until she could find them suitable homes. This love and gift for animals led her to eventually owning and operating a petting zoo for four years. If you find yourself thinking, “Where are there puppies for sale near me,” you’ve come to the right place. 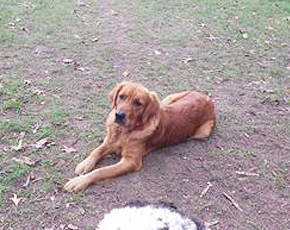 Animals are important to Debbie and Duane, and it shows in the raising and breeding of their puppies. 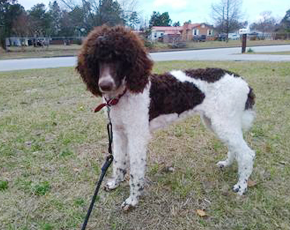 When you purchase a puppy from TUCKERS DOODLES AND POODLES, you can expect to receive one that is loved and well taken care of. Get in touch with Debbie to learn more about their puppies for sale and to become the owner of a well-loved companion.